Lead can be defined as a metal or a chemical element. It is naturally found in the environment as well as produced through industries. Each one of us is exposed to this element through the air, water, soil, food as well as many other consumer products. The intensity of lead toxicity has been studied for a long time now, and studies have shown that it can increase the blood pressure, lead to kidney dysfunction, and it can also have many neurological effects too. 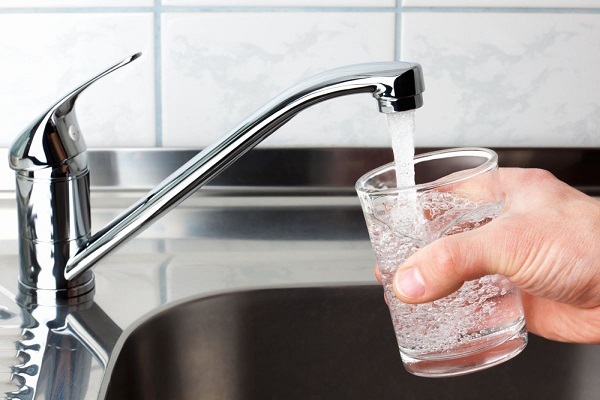 If you haven’t used the water for a few hours, turn on the tap water and let it flush out for a while. This will remove out the lead before drinking out the water. For cooking and baby-feeding, always opt for the fresh, cold drinking water. Lead can’t be removed with the boiling of the water. Using a filter for the removal of lead will be effective. Also to note, not all the filters remove out lead. Connect the filter and do repetitive checks if it’s working or not. There’s a LeadLine number or contact 503-988-4000 for conducting a free lead test in the water. If you are living in a highly lead-exposed space, then test out your baby for it. The blood lead level is the only way to know that. Clean the faucet aerator on a regular basis. Particles and other water pollutants would be trapped inside the aerator area, and with regular cleaning, you can keep a check on the lead exposure. If you are planning to purchase any kind of fixtures, go for something that is free from lead. These include pipes and plumbing elements which are the inevitable components when dealing with water. 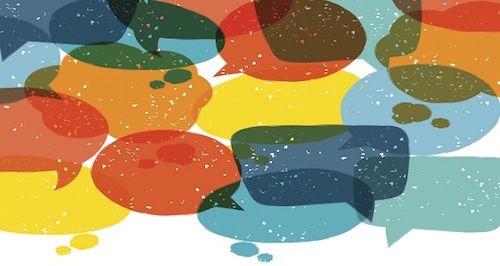 Do you have more tips to share? How are you controlling the lead exposure in your area? Share us your hacks and tips in the comments below. 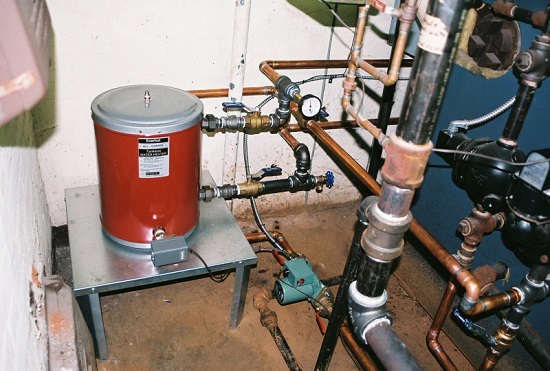 Is it possible to run a hot-water zone off a Steam Boiler? The answer to the question is Yes, you could run a hot-water zone with the help of a steam boiler. Different heating professional people from New York have been practicing this thing with the help of a huge amount of steam. Let’s see how does this work, and it’s effectiveness. There is no need of heat-exchangers though, still, if you have got one then you can install a water to water exchanger that will give you the best kind of installation. Now, it’s possible to run a hot-water zone with the help of a steam boiler but it has got some limitations there. First, you have got the boiler’s gross output and the second is the net capacity. While the gross output is always seen to be 20% higher than the total net capacity. Another question that people usually have about the boilers and its system is how the water remains up in the piping thing. This is because of the air surrounding the system. Air has its own weight and it keeps on pressing down the things that it touches. There is no point in oversizing the steam boiler. You may think that this will get you more output, but it will simply push out a lot of steam out which may lead to problems like water hammer, uneven heating, surging water lines and others. make a bypass pipe surrounding the steam boiler that will circulate out the radiation. There are no pressure-reducing valves set in this, so you could experience a banging hot water zone in the basement side of the machine. You could run the machine in its priority condition but you won’t find any heat in the steam system while the water zone is operating. Smaller boiler taps do not go well for the boilers, as this leads to low heat transfer. So, these are the points that you need to note about, and never forget while using a steam boiler for the purpose of running a hot water zone. That is why choosing the best coffee machine that is the most important thing that you need to do. There are different sizes to the espresso machine that is going to take a big chunk out of the counter space. Many different things make up the coffee machine that make it one of the best things to have in your home. Many different espresso coffee machines are on the market and each have their own features that can make you want to go out and get one for yourself. 1. Different Kinds of Coffee– Whatever kind of coffee you feel like having, you have that option when you have an espresso machine. There are many things that an espresso machine is going to be allowed to do that will make anyone want one for themselves. 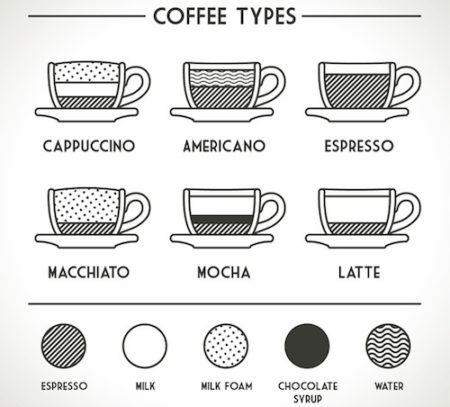 It is very important to keep to a cup a day, but when you have the choice of many different types of coffee; you are going to have time to choose the best choice. 2. Hot Fresh Coffee– With the machine, you also will get fresh coffee. The way that the machine will prepare your coffee will be like it is the best coffee that you have ever tasted. 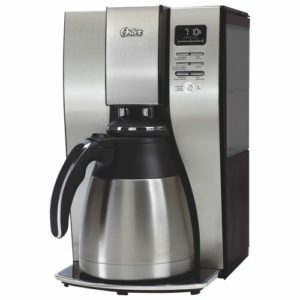 You must read about single cup coffee maker reviews to know other machines before buying this. Everyone likes to have a nice freshly brewed cup of coffee in the morning. When you have this type of coffee machine, you are going to be allowed to have that freshly brewed cup. That is the best thing that everyone likes about having espresso coffee machines. 3. Multi-Functional– Not only can you make coffee with an espresso coffee machine, you are also going to be able to have use of the multi-functions of the machine. 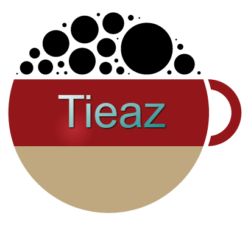 Whether you want to brew up some hot milk for your cocoa or simply need hot water for your tea, the espresso machine is going to be able to do this for you. The many different functions of it all make for a wonderful addition to your kitchen. You can have anything you want in a timely manner. A coffee maker is only going to be able to do so much. With an espresso machine, you are going to have your plate full of the many things that you are going to be able to do. In the end of the whole process picking your favorite machine, you are going to have an amazing product that is going to give you anything that you want in terms of drinks. 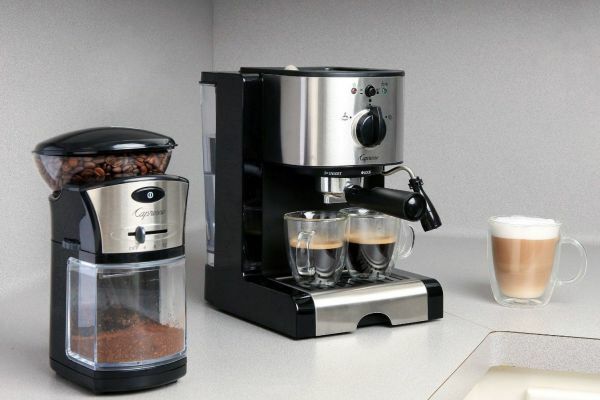 You are going to have a good product in your home if you have the chance to own the coffee machine. With the ability to drink different kinds of coffee and have it be fresh with multi-functional operation, you are going to have a nice cup of coffee that is going to allow you to start your day refreshed and energized. There is a special attractiveness to your lustrous, expert look of stainless steel, that causes numerous prospective buyers to pick stainless appliances instead of those manufactured of plastic. Years back, stainless-steel items were reserved for skilled commercial kitchens, and have absolutely only created their strategies by to the regular household kitchens inside last 10 years. Java is now a staple in a great quantity households, and you will find a range of methods to brew your espresso too as a mixture of stainless-steel coffee makers, of varying brands, allowing you to decide on the 1 that can coordinate together with your taste and requirements. In addition to the far more pleasing appearance, what will likely be the advantages of choosing a stainless steel espresso pot as opposed to a glass one particular? Many people are not aware stainless-steel coffee makers construction and design benefits. Made out of a high good quality product like stainless indicates the chrome steel coffee maker was designed to for longevity, unlike the models produced of plastic. Cosmetically, the stainless adds a touch of professionalism, reliability , allure that few folks can resist. Community might be the aesthetics that first attract you, it truly is the superior high quality from the product that rank the stainless coffee pot well above its counterpart produced of plastic using a glass carafe. How quite a few times perhaps you have broken your glass carafe? 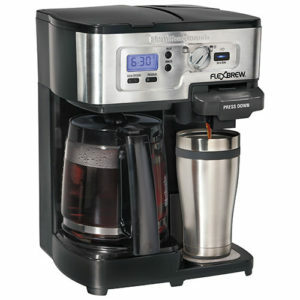 Its got most likely happened to you much more than once if you own this kind of coffee maker. The truth that it truly is at risk of extreme temperatures each day implies the particular glass carafes are quite fragile. Have you ever inadvertently left your glass carafe within the burner, with the coffee maker turned on, and no java left within the pot? It really is quite likely your glass carafe cracked in this situation, nevertheless the durable, thermal carafe from the stainless coffee maker will not have this issue. There are stainless carafes available included with many from the stainless coffee maker, in contrast to your glass or plastic carafe. The construction with the stainless carafe provides a lot far more durability than other available carafes. 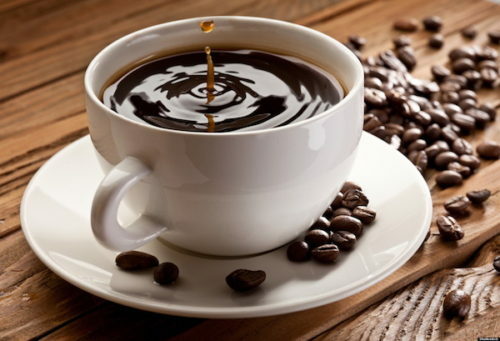 A brand new, warm cup of java will probably be the actual result whether your carafe is left inside the sink, put inside dishwasher, or even dropped on to the floor. The thermal carafe coffee maker provides the additional bonus of enjoying another cup of caffeine, hours after the initial brewing. 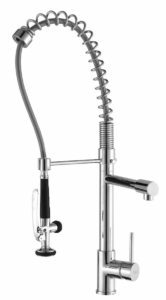 As with most of the Delta line of kitchen and bathroom faucets, the Ashton proudly sports DIAMOND Seal Technology as well as the ever famous MagnaTite Docking mechanism for the detachable spray wand. Stainless steel exteriors add to the delight of owning an Ashton. Customers have also commented on the smooth feedback of the handle as well as the precision of its water flow and temperature regulation. Finishing off with positive reception about the overall design and the initially unsure impression about the soap dispenser that comes with the set. This had been known to make people think it was subpar due to its plastic construct, you can’t really find another set that performs this well at a lesser price. Delta fuses quality and economy quite well. Delta’s proprietary TouchClean, MagnaTite, and DIAMOND Seal technologies are the icing on the cake with this faucet as well as other Delta faucets. They all help make usage of the faucet very easy, smooth, and functional. Reviewers have commented on how the MagnaTite Docking system removes their doubts about the spray wand coming loose over the years. They say it’s a nifty feature that goes extremely well with the detachable spray wand. The small cons associated with the Ashton are mostly attributed to doubts about the integrity of the plastic tubing inside the faucet for the hot and cold water feeds. As with Delta’s line of teapot-inspired high-arc stainless steel spouted kitchen faucets, Ashton possesses the very same principle for function and form. The ample height of the spout lets you wash large kitchen utensils such as trays and pots with little difficulty. You’ll find that the swivel angle completely allows access to any circumferential point of your kitchen sink so cleaning up after yourself becomes greatly easier. Most contenders for the best kitchen faucet admittedly have dual-option sprays for further flexibility. The Ashton is not deficient in this feature and it efficiently delivers a steady flow of water from the wand as well as an even spray with two options for water pressure to deliver the conservative rate of 1.5 gallons per minute (gpm) or the standard 2.0 gpm, both features having separate buttons on the nozzle for easy control. At the tip of the nozzle are rubber nubbins that employ the TouchClean system of the Delta where you can easily wipe off calcium and lime residue with a touch of a finger. The Ashton kitchen faucet from Delta utilizes the same concept of a detachable spray wand connected to 54 inches of hose for a far-reaching pull that allows you to clean the underside of large pots as well as the corners of your sink. The Ashton is equipped with the MagnaTite Docking system that utilizes installed magnets into the spout for an easy docking of the spray wand after pull-out use. This magnet system ensures the locking mechanism stays consistently secure and that the spray wand does not dangle loosely after multiple use. This Delta kitchen faucet is fitted with a DIAMOND Seal Technology valve that not only keeps it durable for at least 5 million uses, but it also keeps the flow of water from touching the metal innards of the faucet. This second function keeps away contamination from the metallic parts of the faucet and leaves you without that nasty steel taste in your mouth. The power of precision at your fingertips is what this best kitchen faucet offers you. The single handle lever can be placed at either sides during installation to benefit the dexterity of side dominance. Its smooth movement allows for accurate control of the water flow and the temperature as well. A Delta kitchen faucet is unlikely to cause you grief over your purchase as many reviewers rating the Ashton a healthy 4 and 5 stars at Amazon have come to a consensus with. The faucet’s high arc is one of the first conveniences that customers will discover as it allows a lot of space for washing large dishes and maneuvering them around while doing so. The swivel is also important as an entire circular range helps eliminate the need for having to detach the spray wand all the time for suds and residue around the entire sink. The plasitc is not readily bendable and that poses a small inconvenience when one decides to loop the tubing if the underside cabinet is somewhat short. However, reviewers have realized the quality of Delta’s customer support as they give sufficient instructions on how to tackle these troubles. In conclusion, the Delta Ashton Single Handle Pull Down Kitchen Faucet as well as the accompanying soap dispenser is a highly recommended product that’s earned a largely positive 4.6 stars on Amazon. At ~$225, it’s a big attraction to those looking for the best kitchen faucet to fit their needs. 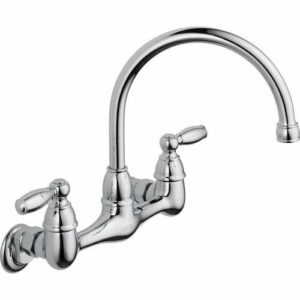 We are going to review the Delta 9178-DST Leland Single Handle Kitchen Faucet in this article. 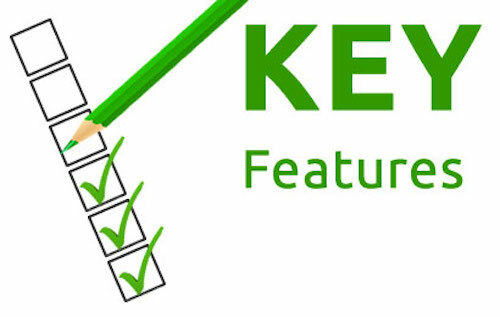 We will begin with the Specifications and Features, then proceed with the reviews. The high arc spout enables easy access to all areas of the sink due to its ability to swivel a full 360 degrees. The spray head of the pull down hose provides a reach of 20 inches, enabling you to wash or fill even the largest kitchen pots or pans with ease. The Delta Leland kitchen faucet utilizes Delta’s Diamond seal technology to provide you with a leak and drip free faucet which is both highly attractive, practical and which forms a stylish centerpiece to any high quality kitchen installation. This Delta kitchen faucet can be fitted as a single hole installation, however an escutcheon plate is also included which allows it to cover the spare holes in a three hole installation if required. The pull-down hose returns to its docked position and is kept securely in place until needed using Delta’s MagnaTite magnetic docking system. The water temperature and flow is easily controlled by one single lever, leaving your other hand free to perform other tasks. The wand has a button which enables you to easily select either stream or spray mode as required. 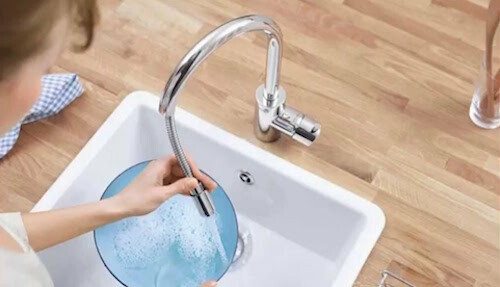 Single Handle Pull-Down Kitchen Faucet. Part of a stylish and charming teapot-inspired series of faucets for the entire home. High-arc spout swivels a full 360 Degrees for complete kitchen sink access. Pull-down spray wand features a 59-Inch hose providing a 20-Inch reach. Single Handle control provides ease of operation with one hand. Optional escutcheon for three hole sink mounting included. Spout Length 9 1/8 inches. Spout Total Height 14 7/8 inches. Spout Height Deck to Aerator 7 7/8 inches. Lifetime Faucet and Finish Warranty. So, these were the Specifications of this unit. Customer reviews for the Delta Leland 9178-SS-DST Single Handle Pull-Down Kitchen Faucet are excellent. This is a best selling kitchen faucet with a high customer rating. All 13 Customer reviews which we studied gave this Delta faucet five stars out of five, it really doesn‘t get any better than that. Customers who chose to fit the faucet themselves agreed that the installation was straightforward. One reviewer did have some difficulty in fitting his new faucet but a quick call to Delta technical support soon helped him to resolve his problem successfully. 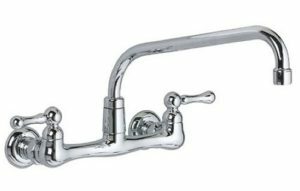 Generally, reviewers agreed that the quality of Delta 9178-DST Leland Single Handle Kitchen Faucet Reviews was very good, saying that it was well made and that they were impressed with the quality. Some customers commented on the ease of adjusting the water flow and the water temperature with the single handle. The button on the wand which selects spray or stream was also praised highly. Several reviewers expressed a concern about the height of the Delta Leland 9178-SS-DST Single Handle Pull-Down Kitchen Faucet. One reviewer said that the faucet looks higher when installed than it does in the picture. Another customer was afraid that the height of this Delta kitchen faucet would result in splash back, but once they had it installed there was no splash back at all. Generally, reviewers agreed that the height of this faucet gave them more room to wash large pots and cookie sheets. Several people also said that their water pressure was improved as a result of fitting this faucet compared to their old one. Delta faucets are renowned for their good quality, and the customer reviews of this faucet from real users who bought and use it are highly positive. 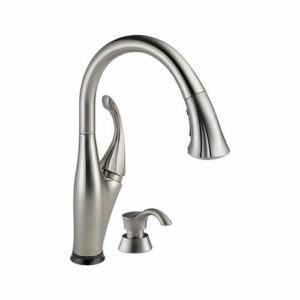 If you are looking for a new kitchen faucet we highly recommend that you give the Delta Leland 9178-SS-DST Single Handle Pull-Down Kitchen Faucet a close look before choosing to buy any other make or model. Finished with Infinity SuperSteel, this kitchen utility is the craft of ergonomics and stunning design. Sporting stainless steel, solid brass, and Grohe’s StarLight chrome technology, the Concetto does not only do the part, it looks the part as well. The spring takes longer to retract according to some reviewers and can be more cumbersome with risks of being obstructed in between cycles to the point that one of them actually don’t use it at all. Considering the price, it is also rather expensive at ~$400. Most customers that have rated this product a 5 out of 5 did state that the price is worth every penny with its beautiful design, convenient usage, easy general installation, and great quality of water flow. As one reviewer pointed out, this makes the lever much less likely to hang loose over time and constant use. It is also a plus that during installation, you can place the lever either at the right-hand side or the left-hand side for user preference. There are, however, some minor gripes that these customers have pointed out in their reviews. Grohe kitchen faucet products are known to blend quality and beauty and with the Concetto, they’ve done exactly that and a tad bit more. The high spout design for the Concetto ensures you a wider range of motion when washing large dishes such as baking trays, fry pots, and even skillets. Its wide operating angle lets the water flow toward you so you minimize hitting the faucet body. The entire arch is finished with Grohe’s StarLight chrome technology. Utilizing smooth lever movement with their proprietary technology, the Grohe kitchen faucet Concetto gives you easy control on the flow of the water with your fingertips. Consistency and flexiblility are also addressed with a locking click for retraction and the choice for positioning the lever at either sides. The best kitchen faucet is the objective Grohe assimilates to every one of its products and the Concetto is fitted with a dual spray mechanism to help meet this objective. Pushing the button locks the change of water output from a smooth, transparent, bubble-free flow to an adequate-range spray for an even distribution of water that prevents splash backs. You can also pull out the spray head for farther reach and it is retractable via a spring mechanism. It cannot be denied that Grohe takes particular consideration to the aesthetics of its products and this is evident with the chrome finishing for the Concetto. But beneath that beautiful shiny look is the stalwart and robust quality of brass and stainless steel. Melding together reliability with looks, the Concetto is a dual packaged deal designed to stay in your kitchen for a long time. The Concetto sports a rate of 2.2 gallons per minute (gpm) at 60 pounds per square inch (psi) to a 2.5 gpm at 80 psi for a 9.5 liters per minute (lpm) maximum flow. A Grohe kitchen faucet like the Concetto 32 665 DC0 Dual Spray Pull-Out Kitchen Faucet can be expected to look good and work very well. The water flow is not aerated and so you get a clear stream that doesn’t break even with the height. This stream also consequently minimizes the noise it makes when opened. Most of the customer reviews at Amazon.com have stated their more than satisfied elation with the Concetto’s sleek design adding to the decorative look of the kitchen that is complemented with ergonomic mechanics making everyday sink activities easier. The smooth lever control allows for easy adjustment of the water flow that is neither too sensitive nor otherwise. In addition, the retraction mechanism of the lever is such that it clicks back into place when fully retracted. One of them being the push button spray option can only be changed back to the regular flow by turning the faucet off and turning it back on afterward. Although this is not a major cause for worry, it is undoubtedly an extra step to take that they feel can be eliminated by more practical works. Another concern is the pull-out spray head retraction method which uses a long spring instead of dead weight. Even the apparent splash back from the height of the spout did not seem to detract significant points for this product from the reviewers so far. Overall, this Concetto best kitchen faucet contender remains a highly recommended product, provided of course you got the cash to dish out. This kitchen sink faucet has fluid lines, an attractive transitional style and offers exceptional performance. This Kohler kitchen sink faucet has a spout height of 6 inches and a spout reach of over 10 inches which makes it ideal for use with larger containers and pots. An interesting feature of this kitchen faucet is its high-temperature limit stop. This allows you to set a maximum comfortable temperature and therefore eliminate the risk of scolding. The Kohler Forte is available with an escutcheon plate for single hole or three hole installations. Installing this Kohler faucet is straightforward, quick and easy. This kitchen faucet operates by lifting the lever to turn it on and then moving the lever from left to right until the desired water temperature is reached. It is one of the most Faucet Water Filter Reviews received product. It is equipped with a convenient pull-out sprayhead on a counter-weighted braided hose. A side to side diverter controls the two spray options and there is a spray pattern memory which recalls the last spray pattern selected. A limited lifetime warranty is included. This guarantees that the faucet remains drip and leak free for as long as the purchaser owns there own home. Fitted with Kohler ceramic disc valves for a lifetime of durable performance. Constructed from premium materials for durability and reliability. Features a MasterClean sprayface that resists the build-up of minerals. Single-control faucet with optimal reach. Maximum flow rate of 2.2 gallons per minute. We read through all 99 customer reviews of the Kohler K-10433-VS Forte Single Control Pullout Kitchen Sink Faucet. Generally speaking, most customers were happy with their purchase. 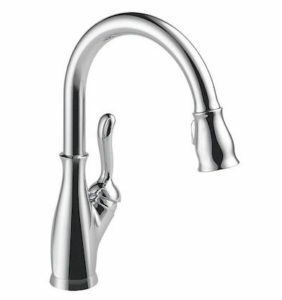 Of the reviews, 49 out of 99 gave this Kohler kitchen faucet the maximum 5 star rating with a further 22 reviewers giving it 4 stars. Reviewers commented that the Kohler Forte kitchen faucet was very easy to install. The pull out hose is counterbalanced by a metal weight, so there is very little to go wrong in kitchen sink faucet installation. Hence, Installation is straightforward. The solid button which switches the sprayhead from spray to stream was a feature which several customers were very pleased with. There were also some negative comments pertaining to restricted water flow. This was a matter of contention amongst reviewers and not all buyers of this faucet experienced this problem. 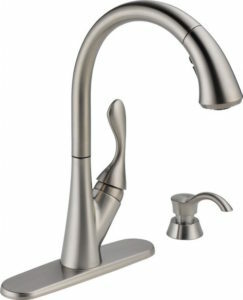 The consumers’ search for the best kitchen faucet meets a new candidate with the Grohe 32999SD0 Alira Low Profile Centerset Pullout Kitchen Faucet with its stainless steel finish, dual-flow option, RealSteel manufacturing materials, SilkMove Technology, swivel spout, and SpeedClean anti-lime system, among others. Pulling off a decent hardworking piece of kitchen utility, Grohe sets the bar high with this one. Alira is made from professional grade 18/10 stainless steel that sports an inherent anti-microbial action to not only ensure durability and a beautiful sheen throughout the years, but also hygienic benefits to the health-conscious, something that the best kitchen faucet ought to consider. Alira cares for performance and convenience but pleasantly surprisingly gives consideration to hygiene as well. Grohe’s SilkMove Technology allows for a smooth regulation of the water flow from the stainless steel water spout which the customers find easy to control. 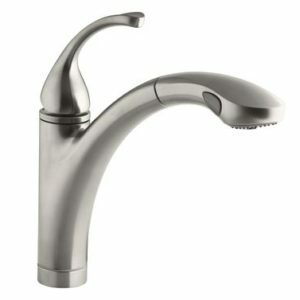 Fingertip precision for both water flow adjustment and swivel spout adjustment hold Alira in high satisfaction regard. You can easily access a double sink with this centerset beauty. A pull-out spray is also conveniently fitted into this Grohe kitchen faucet to flexibly switch from an aerated flow to a good range spray according to the situation and preference. A simple press of the buttons for aeration flow and spray gives you immediate convenient access to either. Especially if your water source is not filtered, mineral deposits in the water may clog the internal workings of the faucet. However, with SpeedClean anti-lime system, these deposits are prevented from forming thanks to Grohe’s proprietary technology. This is a positive point that people have come to expect from a Grohe kitchen faucet. This Grohe kitchen faucet works very well indeed and according to customers as they have written in their reviews, the performance of the faucet is a joy to the kitchen sink. The SilkMove Technology literally makes the swivel and flow adjustment feel the smoothest on any kitchen faucet in existence. Form and function definitely merge together well as the RealSteel construct giving the faucet the endurance of a decade or more and the dual-spray function bringing an added advantage for the occasion. The faucet is also low-profile and you won’t see it sticking out of your counter although is maintains a sheen of class that when looked at is pleasant enough to keep the kitchen looking neat and tidy. The detachable spray head functions well and has a good reach so you can use that when you don’t want the aerated flow to hit only one spot of your dishes with running water. The plastic collar used for the installation somehow even keeps proper fitting difficult and some customers have found it was much easier to do so with it. Others have complained that the instructions for the installation were vague and not really very helpful. However, once installed, it was the general consensus that the faucet works beautifully and that the smoothness of the lever and the swivel were enough to actually eke the benefits ahead of the gripes. And although the faucet does require some form of emptying out your pockets, most reviewers continue to recommend this product. It is definitely still a good contender for the title of the best kitchen faucet. 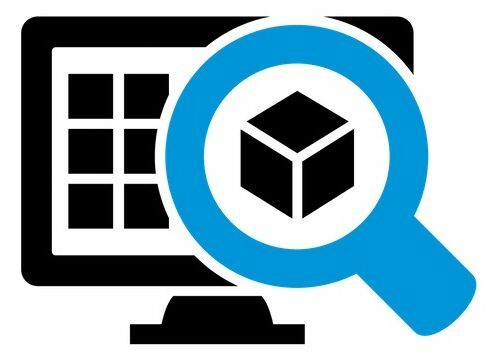 You obviously cannot be able to judge any product or know about its benefits and disadvantages until you have used it, although reviews by users can also inform you much better regarding any product. Additionally, today various kinds of technologies have now been merged into the faucets making them water efficient and easy to use. Because of all these new developments, it would be advisable to go through some reviews by people who are or have used the faucets. It is an affordable product and comes with all those functions and features which you might need in a faucet for every day usage and convenience. If you desire a single hand kitchen faucet that has an attractive design and operates leak free, then the Pfister 133-10ss from the Pfisher Series could be an excellent product just for you. This faucet is ADA-US compliant and is obtainable in chrome finished, stainless steel and in white colors. The Pfister 133-10SS single handle kitchen faucet comes outfitted with a ceramic disc regulator which the faucet leaks free. It is made out of brass and obtainable in three different finished colors to suit your tastes. 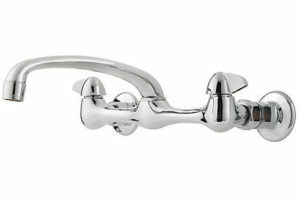 The Pfister133-10s s faucet is rated highly by consumers who are already own it. 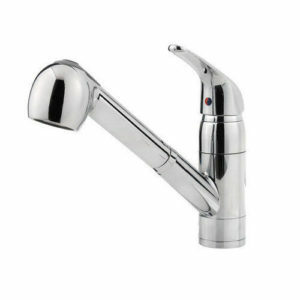 If you have you ever wished to possess a faucet which is equipped with some of the latest technologies and a lot of features such as soap dispenser, Touch-Clean and tough2O, then the Delta 9192T-SSSD-DST single hand could be the product you have dreamt of. This is an electronic faucet that is easy to use and very convenient. It is a superior one handle kitchen faucet having a stainless steel finish featuring advanced Touch2O technology, Magnetite docking and Diamond seal technology. Besides the Stainless Steel finish, SD- Soap/Lotion Dispenser and Diamond seal technology, in this faucet system, the inside contact surface is composed of small diamonds that make the valves to be leakage free plus long lasting. In addition, this prevents any metal contaminants from coming into contact with the water. Because of the Touch2O technology, you may turn the water on or off by touching any section of the faucet. The KPF-1602 kitchen faucet from Kraus is a durable, multifunctional and elegant faucet which could easily make your kitchen to look attractive. It is made from solid brass and has triple plated chrome finishing which has given it a striking look. This kitchen faucet with its low lead solid brass substance and chrome finish makes for an erosion resistant, long lasting and nice looking faucet. Overall, the faucet has a height of 28.5 inches with a spout reaching 9.5 inches and it is a one hole installation faucet deck mounted weighing at 13 pounds. The Kraus KPF-1602 kitchen faucets have over time delivered and fulfilled quality performance according to users. Having a wall mount kitchen faucet at home gives the space a unique look and also provides ease of functionality because of its position on the wall. This allows you to fill your sinks better as there is no countertop faucet to hinder it. This type of faucets comes in different finishes and styles to blend well with your personality as well as the overall appearance of the kitchen. A wall mount kitchen faucet is an excellent option if you plan to renovate your kitchen and give it a look that stands out among other faucets available. Most people go for the appearance of a kitchen faucet when shopping for one. After all, it is important to have a kitchen faucet that looks beautiful. Design of the faucet is an important thing to consider but what’s more important is the functionality of the faucet. The finish can be equally important because you need a kitchen faucet that lasts for long. Most kitchen faucets sold are made of stainless steel – so you can enjoy your kitchen faucet for long, plus getting a long-lasting faucet can save you money. A wall-mounted kitchen faucet should also have easy-to-use features, where you can turn and operate it with less hassle. There are several reasons why a wall mount kitchen faucet may be the right choice for your kitchen instead of having a countertop faucet installed. Having a wall mounting makes it so much easier to clean your kitchen sink. As you may have observed, dirt and grime may accumulate on the base of the countertop faucets. A wall-mounted faucet also gives you enough space on your kitchen sink when you wash dishes because of their high positioning on the wall. Some people would prefer to have their faucets mounted because they add style and charm to the environment and reduce clutter. When you have the faucet mounted on the wall, the countertop will be put to good use as space where you can put a soap holder or any accessories that would fit. Why Should You Buy a Wall Mount Kitchen Faucet? If you want to improve the look of your kitchen with a unique touch, you can consider having a wall-mounted faucet installed. People who have a penchant for a traditional-looking kitchen would usually go for the wall mounted designs. These faucets are definitely worth installing if you want a lovely looking kitchen. Wall-mounted faucets for your kitchen are definitely a space saver. Here are top 3 recommended wall mount kitchen faucets you can find in Amazon.com. For $57.81, you can already own the Peerless P299305LF wall mount faucet. The design gives your kitchen a traditional or contemporary look, however you want it. It is a water-efficient product since it has passed the CALGreen Standards. You might want to consider getting one of these pretty fixtures. This is a more costly option, which will cost you $132.00, but it will definitely give your kitchen a sophisticated look. It has porcelain handles for added style. 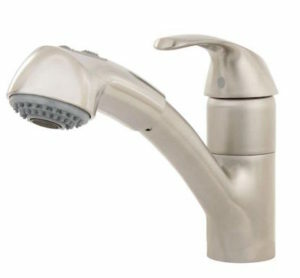 Made with ceramic disc valves, it ensures that operating the faucet comes very easy and smoothly. Manufactured by an American company, it is made to last long, plus it comes with American Standard lifetime warranty. Pfister faucets are great addition to your kitchen and even bathrooms. When you buy a Pfirst Series wall-mount faucet for your kitchen, you are surely to add superior style to your kitchen. Pfister is a trusted brand so you will never be disappointed.